Mavis Joyce (Bishop) Maier, age 86, died Monday, November 26, 2018. She was born February 26, 1932 in Meeker, OK to Clarence and Frances (Kinnett) Bishop. She grew up in Meeker and later moved to Eufaula, OK before settling in Mustang in 1988. She later retired from the Mustang Public Schools bus barn. Mavis loved to fish, travel and go camping. She was preceded in death by her husband Ray Maier, her parents Clarence and Frances Bishop, and two brothers; Bill and Raymond. 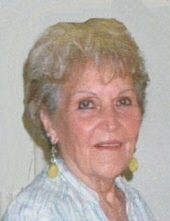 Mavis is survived by her two sons; Kenny Streeter and wife Linda and Keith Streeter and wife Terri, one daughter; Karen Keckler and husband Mike, seven grandchildren; Russell Streeter and wife Kendra, Lily Ferrell and husband Robbe, Jacob Streeter, Travis Streeter, Ostin Streeter and wife Tristen, Cheyenne Upton and wife Angie and Emily Perkins and husband Brook; one sister Charlotte Scott and husband Harold, nieces Diane Ketterling and Debbie Driver, and nephew Randy Scott. Mavis is also survived by Ray’s children Raelene (Mike), Rod (Linda), Roger (Robyn) and Tim (Sheryl). Funeral Services will be 10:00am Friday, November 30, 2018 at McNeil’s Funeral Service, Mustang, OK with interment to follow in Mustang Cemetery, Mustang Oklahoma. To send flowers or a remembrance gift to the family of Mavis Joyce Maier, please visit our Tribute Store. "Email Address" would like to share the life celebration of Mavis Joyce Maier. Click on the "link" to go to share a favorite memory or leave a condolence message for the family.